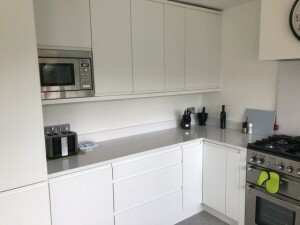 As well as full kitchens we also do kitchen make overs. Just by changing the doors and panels can give the look of a full new kitchen. 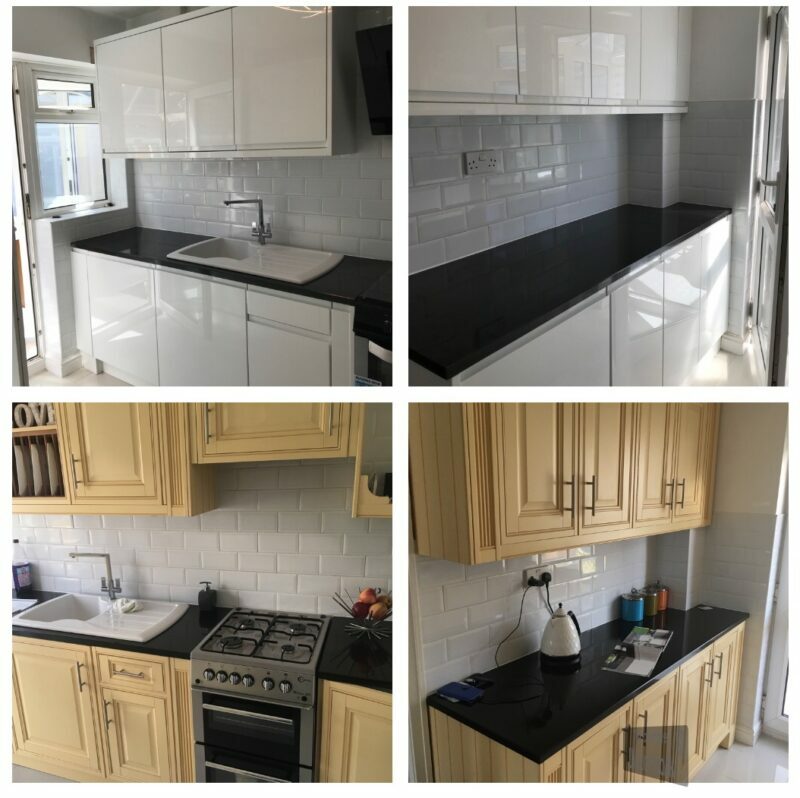 Here is a make over we have recently completed. The customer is over the moon at the end result. 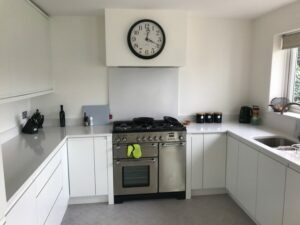 Stunning simplicity white gloss kitchen with white quartz. We created a floating chimney to give the effect that the customer was looking for. For a free quotation and cad design, please contact our friendly office staff who will be happy to help. This fantastic lava grey kitchen is fast becoming one of our most popular kitchens. The hand painted doors give a beautiful grained finish and can be paired with timber worktops or quartz for a stunning finish. The door is available in several colours to complement any kitchen and dining space.